Sharon Hinton Smith is a multi-talented artist who uses her gifts to praise the glory of God and His message and His son Jesus Christ. Her creative inspirations are faith based and brilliantly shine through a variety of ways. Her music celebrates the joy and spiritual blessings bestowed by God and her writings and messages of faith lift the spirit and the soul. The visual beauty of Heaven described in Revelations was the inspiration for Sharon's unique line of jewelry designed as a reflection of that description. 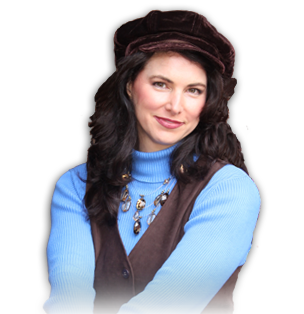 Sharon graciously and gratefully offers her music, writings and jewelry to you. They may be purchased online through PayPal. It's as easy as clicking a button. Sharon Hinton Smith's musical celebration of her love and dedication to Jesus Christ. "Dancing on Daddy's Shoes" is a touching original song which beautifully honors the daddy - daughter relationship. The imagery of little feet being swayed atop daddy's evokes memories even beyond that sweet moment in time. It is a true celebration of father's and all that they represent in the lives of their children. The beautiful orchestration, touching lyrics, and melodic sway creates the perfect father daughter dance. Sharon's smooth vocals and the intricate harmonies awaken an inner warmth to perfectly celebrate that special father daughter bond. 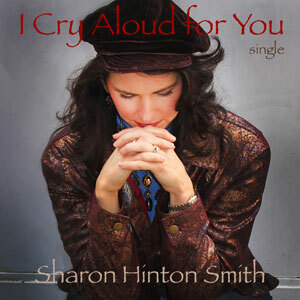 This original song, "I Cry Aloud for You" by Sharon Hinton Smith is an incredible song which shows the deep passion that God has for His people. The song is sung as if God is speaking directly to the listener. Sharon's rich smooth vocals cry out the passion of the lyrics from the very heart of God. on iTunes for only $0.99! "I Cry Aloud of You" has been overlaid on a movie track from "The Gospel of John". Listen to our video while watching the powerful imagery of the film, which focuses on Jesus' sacrifice on the Cross for all humanity. We highly recommend you purchase and watch this beautiful movie! This music video story is great any time of the year, but especially at Easter! Sharon's musical styling of some of your Christmas favorites - from fun to emotional - you will love the mood and melodies she creates for Christmas. She has written an original score, You Captured My Heart *, which celebrates her love for our Lord, Jesus Christ. A must have for Christmas! Individual songs from her new CD - Christmas Dreams - can be purchased through iTunes or Amazon. The icons link directly to the respective sites. Both icons open new windows. Sharon's debut release, Faithful, is refreshing as it offers a variety of musical styles such as contemporary, praise and worship, southern gospel, a touch of blues, and traditional music. Her insightful lyrics coupled with the mood of the music simply enlightens the soul. Sharon began writing songs in elementary school and really gained a love for writing in junior high. Many of these original songs were taken from some of her earliest writings. This CD will inspire you live a positive life and to be Faithful to God in all you do. A listing of all of the A Wonderful Life with Sharon Hinton Smith shows is available on A Wonderful Life Internet TV Channelon this site or, for current shows, linked in the printable schedule on the Inspiring Television page. In case you wish to view the shows on your TV or to have them as a permanent part of your video library, DVDs can be purchased. Purchase buttons are on each video page. They link directly to Paypal; it couldn't be easier than that. Show Notes are also available for each show. These notes are meant to compliment the TV broadcast. To fully understand the message, view this program along with its notes. Our Show Notes are free for you to print and save. A link to that show's Show Notes is available on each show's TV Internet Channel page.. The screen shot on the right is the opening of A Wonderful Life and is linked to " Your Dream Marriage, Part 1 " video of that show. Enjoy! A number of Sharon's AWL shows are posted on Sharon's own Channel at www.trueGOD.tv , as well. Sharon Hinton Smith's thoughts and experiences in God and her faith are offered in Conversations on Faith. Sharon Hinton Smith was selected through a nationwide search to co-author a book on issues of faith, titled Conversations On Faith, for Insight Publishing, a Tennessee-based publisher. Smith joins nationally known personalities Dr. Robert Schuller, Dave Dravecky and actress Ann Jillian, along with other leading authorities, to create this collection of content-rich interviews designed to encourage and motivate people from all walks of life to live an abundant, faith-filled life. Clicking on the page image opens a readable image of one of the pages from Sharon's interview in Conversations on Faith. Sharon Hinton Smith's gifts include the ability to translate her faith and devotion into material reflections of her love of the Lord. "The Glimpse of Heaven Collection" of jewelry is inspired by the Book of Revelation (Revelation 21: 19-21). The loss of a beloved pet and her faith inspired her to create the "Paw Prints on my Heart" website, devoted to offering comfort and solace to those who have similarly experienced the such a loss. If you're looking for the perfect piece of jewelry with beauty and meaning, consider the Glimpse of Heaven Collection®. The world offers plenty of beautiful jewelry; rarely does that beauty also include Bible based truth and hope in every piece. This is their distinction. Those twelve precious stones are represented by the 12 beautiful gemstones in each piece of Glimpse of Heaven Collection jewelry! Ah, the sight we will behold when the light of God, Himself, radiates through each and every hue of color! The entire city will be like a precious jewel, and we will walk in the middle of it, surrounded by its' beauty! The Bible also tells us that there are twelve gates into the city and each gate is made of one single pearl! So, in some of our pieces, lustrous pearls are used to represent the pearly gates! How loving of God to offer us the hope and beauty of Heaven in His Word, and in a tangible way through every piece of jewelry in the Glimpse of Heaven Collection®. To Him be the glory! Thoughtfully designed, the gold and silver pieces of the Glimpse of Heaven Collection® offer a complete ensemble of jewelry for your most precious person - necklaces, bracelets and pendants. The image at the left is but a poor representation of their beauty. website to see all our pieces. After the loss of her 17 year old Yorkshire Terrier, Sharon created a new memorial for animal lovers, called "Paw Prints on My Heart". "Paw Prints on My Heart" combines a beautiful poem and special memorial keepsake to bring comfort and healing to animal lovers. The Paw Prints on My Heart memorial website also offers a free memorial page to all who wish to pay tribute to their furry friends. These special gifts are a caring way to share God's love with those who are hurting.